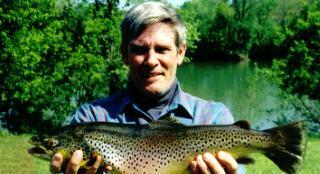 Lindsey Trout Dock is located on the beautiful White River, home of world famous trout fishing. We invite you to search our site for more information on our services, location, hospitality, and great fishing. Life in the Ozarks is hard to beat. After a long leisurely trip on the White River, you wonder why you made plans to go anywhere else. The cool, clear waters provide excellent fishing for some of the largest Rainbow and German Brown Trout. The natural beauty and spectacular multi-colored cliffs are an exceptional backdrop to our fisherman's paradise. 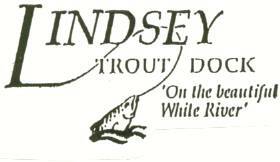 Lindsey Trout Dock is located in north-central Arkansas, 3 miles west of Calico Rock at the Chesmond Access on the White River. -Nearby Blanchard Springs Caverns and State Park offers family fun. Tommy Merritt-7 lb. trout caught April 1998.